When I started at Salsify last summer, I was a timid, clueless high school graduate navigating the professional world for the first time. After spending about two weeks at Salsify (nine work days, to be exact), I was completely and totally enthralled with the rich culture and community of the Salsify family. I “caught feelings” for the Salsify way of life so fast that I wrote a blog post celebrating the unique culture at the company. Now, I’m back for a second summer interning on the engineering team at Salsify-- I just couldn’t stay away. It’s impossible to walk into the Salsify office and not learn something, whether it’s diving straight into writing RSpec test suites, investigating the best way to lay out a dashboard, or developing the soft skills required to do everything from presenting to the entire company to making conversation at lunch. I don’t think it’s any surprise that I was ready for another summer of immersive learning in an environment that was fun but intensive, and supportive yet challenging. Of that first fantastic summer, one of the more memorable challenges was an epic two-day internal hackathon put on by the Salsify Engineering Team. 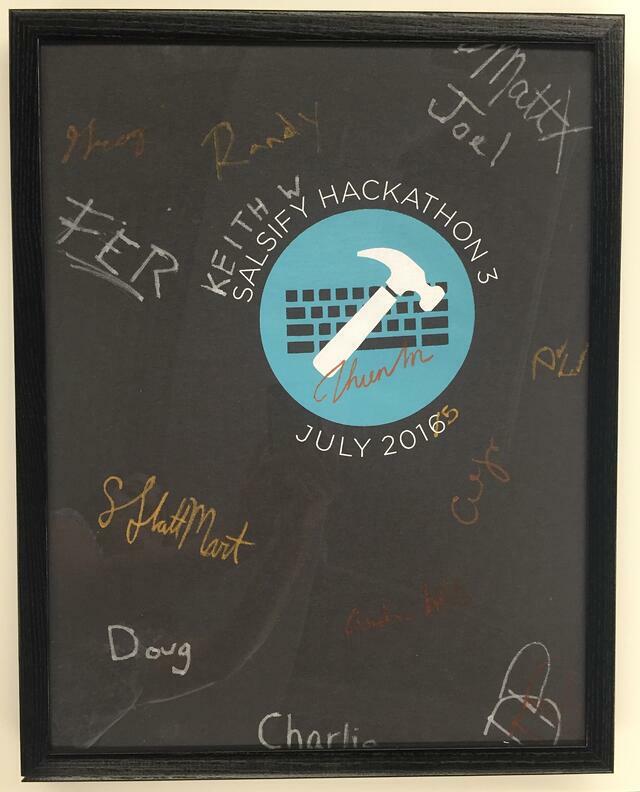 Tons of great projects were built (think: a SONOS Slack integration, an “Overheard at Salsify” Dashboard, and several nearly-shippable features for our product), and everyone got a super fly Salsify Summer Hackathon t-shirt. The one catch? The shirt had a typo. They were printed with the incorrect date-- they say 2016 instead of 2015. Now that I’ve returned, the shirt doesn’t look like a mistake anymore, but I know it’s a reminder of the whirlwind of a summer I had last year, and a promise of another action packed summer to come. 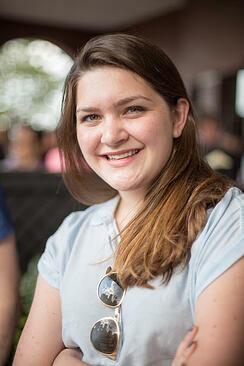 When it was time for me to leave Salsify for college last August, I was a little distraught. Plenty of people joked (some a little more seriously than others) that I should just stay at Salsify and skip school altogether-- who needs to pay a fortune for an education when you already have an awesome job? It sounds crazy, but I actually did consider putting off college. Salsify gave me real world experience on a supportive team where I could cultivate my skills with the help of dedicated professionals who really cared about my advancement. But ultimately, I knew that the social maturation and academic exploration that happens in college was something I would really personally benefit from, even if it didn’t lead to direct ROI (at least, that’s what I’m telling my bank account). Plus, I knew that leaving Salsify wasn’t a permanent goodbye, and that I’d eventually find my way back to the company. However, I was a little nervous. Salsify was growing like crazy, with more and more new employees starting every week, and it seemed like a bad time to leave. What if when I came back, it was different? What if the Salsify I had come to love had disappeared into the land of huge, corporate companies? None of these concerns seemed incredibly likely to pan out, but a part of me was still anxious about what my second summer at Salsify would be like. When I started last summer in June 2015, there were fifty full time employees at the company. Just last month, June 2016, we hit one hundred. That’s a pretty big change. Last summer, I was accustomed to walking into the office everyday and seeing fifty familiar, smiling faces, saying it was good to see me and asking how I’d been. When I walked in on my first day this summer, I saw those same fifty smiling faces, plus fifty new faces, smiling all the same. Imagine my joy when I came back to work and saw that while the Salsify family had grown, the community values, dedication to hard work, sense of adventure, desire to push and be pushed, pride in accomplishment, and overall feeling of support and camaraderie hadn’t been dulled one bit. Despite my worries, and despite doubling in size, Salsify has maintained its culture a hundred times over. The community is as strong as ever, and I continue to be tickled by the thoughtfulness and dedication of each and every person here. There’s a reason I came back for another summer. It can be hard to put into words what’s so special, but I made a list of what makes up the Salsify culture. ....walking into the office and knowing you are valued. ....taking the entire engineering team out bowling, and Adam, our VP of Engineering, playing a game of candlepin with the interns, because the exec team cares about being accessible to everyone in the company, whether you’ve been here for a few years or a few weeks. .... cross team collaboration, because although we work in different groups, we’re all part of one important process. .... opening a Pull Request on GitHub and getting more comments than you can count on your code just about the merits of doing something one way or another, because everyone on the engineering team deeply cares about doing things the right way and having people learn. .... reaching out to someone in the office you’ve never spoken to before for help, and knowing that they’ll be glad to do what they can to give you a hand. I wear my Salsify Summer Hackathon 2016 shirt with pride. By looking at the shirt, you couldn’t possibly guess that the date is a typo. You can’t see how indicative that shirt is of the incredible ride I had last summer, or the current adventure I’m having, but I can feel it. You can’t see how much I’ve come to value the strength of a cohesive team, or the balance of independence and teamwork, or the work ethic that I’ve internalized from working with a family of driven people who inspire me to do my best each day. I wear the shirt with pride because everything that made me fall in love with Salsify last summer is core to the Salsify identity and mission, and it’s still deeply rooted in the company today. It always will be-- no matter what date is printed on the shirt. 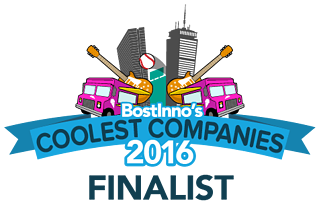 We're a finalist for BostInno's BostonFest CoolestCompanies Competition. Vote for us!